At Thames British School Warsaw, we aim to fully involve ourselves within both the local and international community. 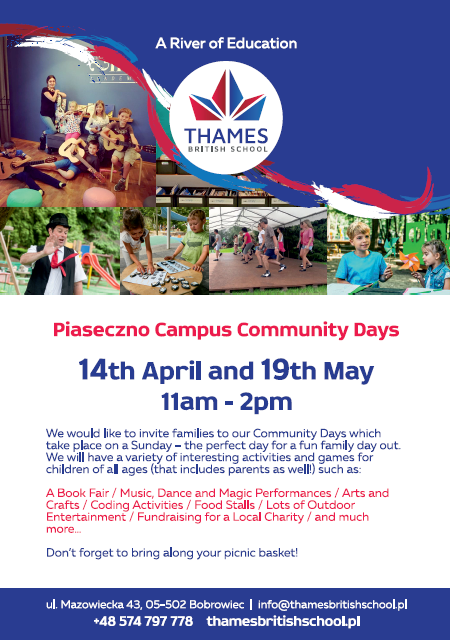 Therefore we would like to invite families to our Community Days which take place on a Sunday – the perfect day for a fun family day out. We will have a variety of interesting activities and games for children of all ages (that includes parents as well!) as well as healthy food and a book fair. 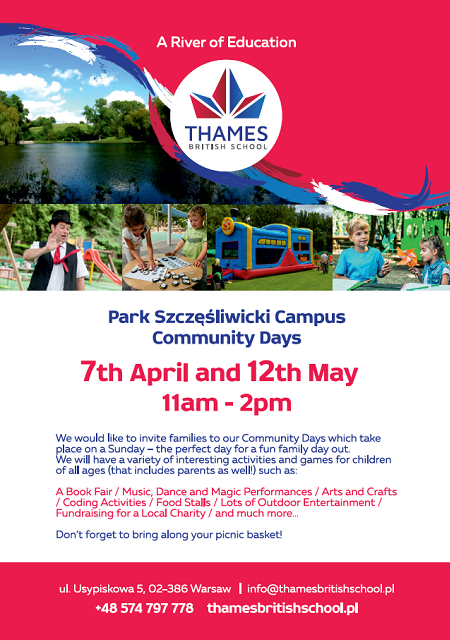 Find out more about our Park Szcęśliwicki Campus Community Day on Sunday 7th April and 12th May and our Piaseczno Campus Community Day on Sunday 14th April and 19th May, between 11am-2pm on Facebook.